Mauro Fasano graduated in Chemistry in 1989 at the University of Torino working on NMR characterization of cell pigments. He later got the Doctorate degree (Chemical sciences, 1992) with a thesis on non-covalent interactions between small paramagnetic molecules and proteins. From 1992 to 2000 he was appointed to the position of Assistant Professor of general chemistry at the Faculty of Sciences of the University of Torino. In the period 1992-2000 Prof. Fasano worked on the characterization of metal ion centers in biomolecules by NMR spectroscopy. In particular, he investigated the solid-state structure of different melanin pigments including human mesencephalic melanin, and the NMR relaxometric properties of heme proteins. These two interests have been further developed in the forthcoming years. Starting from November 2000 he is Associate Professor of Biochemistry at the Faculty of Sciences of the University of Insubria at Varese, affiliated to the Department of Structural and Functional Biology. He has been a member of the postgraduate school of molecular and cellular biology of the University of Insubria (2004-2008), and since 2008 he is a member of the Board of Advisors of the postgraduate school of Neurobiology of the University of Insubria. 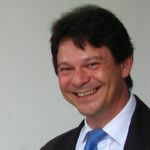 He has been among the founders of the first Master in Bioinformatics in Italy (www.masterbioinformatica.it). Prof. Fasano is past-president of the biological chemistry division of the Italian Chemical Society (2009-2011), coordinator of the biotechnology group of the Italian Chemical Society (2011-2013), member of the scientific board of the proteome chemistry group of the Italian Chemical Society (2009-2011), member of the scientific board of the Italian Proteome Association (2010-2012), deputy-director of the Center of NeuroScience of the University of Insubria (2009-2011), deputy-director of the Department of Structural and Functional Biology of the University of Insubria. Moreover, he is member of the Italian League against Parkinson's Disease, of the Italian NMR Discussion Group, of the Human Proteome Organization and of the Italian Society of Biochemistry and Molecular Biology. He has been member of scientific committees of several national and international conferences including the World Chemistry Congress (Torino 2007), as scientific coordinator of the Biological Chemistry session, and the Italian Biochemistry Conference (Riccione 2008). He acted as reviewer for several journals such as Proteomics, Parkinsonism and Related Disorders, Journal of Biological Inorganic Chemistry, Biochimica Biophysica Acta ñ Molecular Basis of Disease, FEBS Journal, Expert Reviews of Proteomics, Neuroscience Letters, Journal of Neurochemistry. He is author of more than 110 papers on peer-reviewed international journals (ISI Web of Knowledge), as well as books, edited books, articles in encyclopedias. He received 2700 citations, with h-index = 27. The research interests of Prof. Fasano are devoted to two main areas: i) characterization of the allosteric properties of human serum albumin and ii) biochemical pathways in neurodegenerative diseases. The latter aspect, being the predominant one, is in turn focused on two main objectives: a) understand molecular mechanisms leading to neurodegeneration to eventually block them by neuroprotective drugs, and b) discover and validate peripheral markers of the disease to allow early and differential diagnosis so that neuroprotective or neurorestorative strategies could be attempted. Both objectives are mainly pursued by means of proteomics techniques, where a first look by a global, hypothesis-free approach is followed by a bioinformatic screening of functional information available in the literature to end up in the generation of a new hypothesis to be confirmed experimentally by classical, hypothesis driven methodologies. 1997-98: local unit coordinator, CNR target project on Biotechnologies. 1998-2008: coordinator of the biochemistry and proteomics unit at the Bioindustry Park Canavese, Colleretto Giacosa (TO). 2002-04: principal investigator in the project "DAOS - danno ossidativo nella malattia di Parkinson" funded by Fondazione Monzino, Milano. Objective: To understand molecular mechanisms of Parkinson's disease using a cell model of dopamine toxicity. 2004-05: principal investigator in the project "Metabolic changes in the neurodegenerative process at the basis of Parkinson's disease" funded by the ministry of Health. Objective: To understand molecular mechanisms of Parkinson's disease pathogenesis by differential proteomic analysis of mesencephalic tissue specimens from Parkinson's disease patients. 2006: principal investigator of the project "SIMBA - Silicon Innovative Monitors for Biological Applications" supported by EU (Interreg IIIc) and Regione Lombardia. Specific aim: to develop new technological platforms for low cost and high performance analysis of antibody arrays for peripheral biomarkers quantification. 2008-now: team leader in the identification of biomarkers of Parkinson's disease in peripheral blood cells. The project is currently supported by a lay association (Italian Parkinson's association). 2010-now: industrial research project ParIS (Parkinson Informative Systems) funded by Regione Autonoma Valle d'Aosta through collaborative project agreement with BioDigitalValley Srl for the development of a software for automatic detection of biomarkers of Parkinson's disease in plasma. Fanali G, Cao Y, Ascenzi P, Trezza V, Rubino T, Parolaro D, Fasano M. (2011) Binding of d9-tetrahydrocannabinol and diazepam to human serum albumin. IUBMB Life. doi: 10.1002/iub.466. Alberio T, Anchieri C, Piacentini L, Gentile G, Simmaco M, Biasin M, Fasano M. (2011) Proteomic characterization of Jurkat T leukemic cells after dopamine stimulation: A model of circulating dopamine-sensitive cells. Biochimie. 93:892-898. Alberio T, Bossi AM, Milli A, Parma E, Gariboldi MB, Tosi G, Lopiano L, Fasano M. (2010) Proteomic analysis of dopamine and a-synuclein interplay in a cellular model of Parkinson's disease pathogenesis. FEBS J. 277:4909-4919. Alberio T, Colapinto M, Natale M, Ravizza R, Gariboldi MB, Bucci EM, Lopiano L, Fasano M. (2010) Changes in the two-dimensional electrophoresis pattern of the Parkinson's disease related protein DJ-1 in human SH-SY5Y neuroblastoma cells after dopamine treatment. IUBMB Life. 62:688-692. Bolli A, Marino M, Rimbach G, Fanali G, Fasano M, Ascenzi P. (2010) Flavonoid binding to human serum albumin. Biochem Biophys Res Commun. 398:444-449. Mila S, Albo AG, Corpillo D, Giraudo S, Zibetti M, Bucci EM, Lopiano L, Fasano M. (2009) Lymphocyte proteomics of Parkinson's disease patients reveals cytoskeletal protein dysregulation and oxidative stress. Biomark Med. 3:117-128. Ascenzi P, Fasano M. (2010) Allostery in a monomeric protein: the case of human serum albumin. Biophys Chem. 148:16-22. Fanali G, Rampoldi V, di Masi A, Bolli A, Lopiano L, Ascenzi P, Fasano M. (2010) Binding of anti-Parkinson's disease drugs to human serum albumin is allosterically modulated. IUBMB Life. 62:371-376. Natale M, Bonino D, Consoli P, Alberio T, Ravid RG, Fasano M, Bucci EM. (2010) A meta-analysis of two-dimensional electrophoresis pattern of the Parkinson's disease-related protein DJ-1. Bioinformatics. 26:946-952. Ascenzi P, di Masi A, Coletta M, Ciaccio C, Fanali G, Nicoletti FP, Smulevich G, Fasano M. (2009) Ibuprofen impairs allosterically peroxynitrite isomerization by ferric human serum heme-albumin. J Biol Chem. 284:31006-31017. Rubino T, Realini N, Braida D, Alberio T, Capurro V, ViganÚ D, Guidali C, Sala M, Fasano M, Parolaro D. (2009) The depressive phenotype induced in adult female rats by adolescent exposure to THC is associated with cognitive impairment and altered neuroplasticity in the prefrontal cortex. Neurotox Res. 15:291-302. Fasano M, Alberio T, Lopiano L. (2008) Peripheral biomarkers of Parkinson's disease as early reporters of central neurodegeneration. Biomark Med. 2:465-478. Fasano M, Alberio T, Colapinto M, Mila S, Lopiano L. (2008) Proteomics as a tool to investigate cell models for dopamine toxicity. Parkinsonism Relat Disord. 14 Suppl 2:S135-S138. Fasano M, Lopiano L. (2008) Alpha-synuclein and Parkinson's disease: a proteomic view. Expert Rev Proteomics. 5:239-248. Parkinsonís disease (PD) is a sporadic neurodegenerative disorder of unknown etiology characterized mainly by the progressive degeneration of dopaminergic neurons of the substantia nigra pars compacta (SNpc) and depletion of striatal dopamine. Dopamine auto-oxidation in the cytosol determines oxidative stress conditions that are magnified by impairment of the antioxidant defense of the cell. Mitochondrial and proteasome dysfunction and oxidative stress could account for the selective degeneration of dopaminergic SNpc neurons and their specific vulnerability. Mitochondrial involvement in PD has been established for many years, since the recognition of the mechanism of action of MPTP (1-methyl-4-phenyl-1,2,3,6-tetrahydropyridine). a. We will develop a cellular model of mitochondrial impairment in Parkinson's disease in the SH-SY5Y cell line challenged by dopamine or MPP+. b. We will observe protein expression patterns by mitochondrial proteomics in our model. c. We will analyze the protein expression patterns by systems biology to highlight common or model-specific pathways. d. We will characterize autophagic and apoptotic responses in our model of mitochondrial impairment in PD.